The Good: Oh there's just so much action in here it's just maddening! (Get it?) There is literally non-stop action from beginning to end, and luckily director George Miller is generous enough to give you about 20-30 mins of breaks to catch your breath. The car chases are bigger, badder, and more explosive than anything I've seen on the big screen to date. Tom Hardy does an adequate job of taking up the mantle of Max. Charlize Theron on the other hand, dare I say, almost steals the show with her performance. You may find yourself gravitating to her character more than you would to Max. The cinematography was exceptional in the fact that the shaky camera shots will make you feel as though you're also losing your mind along with the characters on screen. The 3D was done in a simplistic way that isn't overkill, and doesn't get lost as the film progresses. The Bad: While Charlize was great, it almost seemed as though Max's character takes a "back seat" to her throughout the film. (Oh I'm feeling very punny today! "Back seat"...You love it.) While the action films are INTENSE and all in your face, sometimes there's so much going on you may feel like your brain is just overloading. Don't get me wrong, it fits in perfectly with the theme of this film (everybody is MAD/Crazy) but a few of the action scenes are shot so fast that it may be difficult to process what's happening. It's not a big deal though. The Reason: Confession: I had not watched any of the previous Mad Max films until just this week. (I know, I know. Forgive me.) I made it a point to watch Max Mad (1979), which was like a prequel, and Mad Max 2: The Road Warrior, which was a much better sequel. 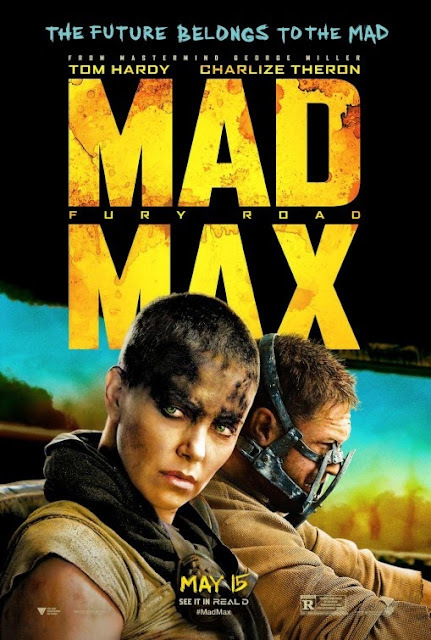 (You can skip/forget Mad Max 3: Beyond Thunderdome) If you're not familiar with Mad Max, you could liken this movie to what would happen if Fast and the Furious were to happen in a post-apocalyptic world, surrounded entirely by desert. I would caution the average movie goer who's new to this series before watching this film. This movie serves as a good stand alone for the Mad Max franchise, because it gives you just enough bits and pieces of Max's backstory so that you're not completely lost. However, unless you watch the previous films I mentioned, you simply won't have as much of a connection and appreciation for what was done with this film. Let me put it this way. This film is a really, really good action film. (If you don't know about the previous films.) But it is an AWESOME "Mad Max film" within it's own right. The cult following may just deem it "epic". I think that if you're a Mad Max fan, and you choose skip watching it in theaters, then you're doing yourself a great disservice. The 3D, big screen, and enhanced audio is the best way to view this, in my opinion. The audience member sitting next to me said after the film, "Wow, I felt like I just got off a rollercoaster!". And that sums up this movie perfectly. Mad Max isn't just a great action film, it's an EXPERIENCE! Go see it.